I am obsessed with greys. Ever since this quilt, I have loved adding grey to bright colors – here and in my new bed quilt which I hope to get back from the quilters soon. I didn’t have any greys when I started quilting again a few months ago, and so I am trying to develop a bit of a stash – because grey fabric goes quickly ’round these parts. 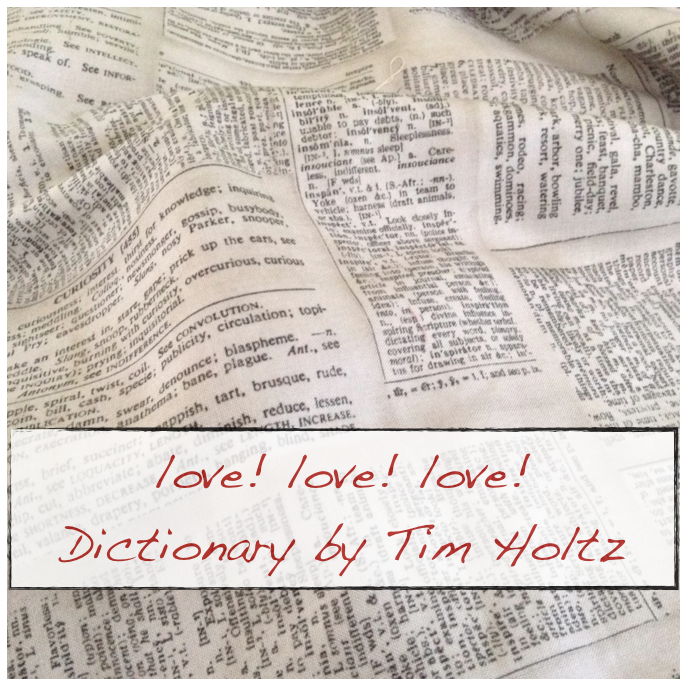 The grey that I love most of all is Dictionary designed by Tim Holtz in the Eclectic Essentials line. Love, love, love. The palette is beautiful – from greige to grey – but also it looks so much like paper it seems to make everything modern and fresh. Love! I used it in this and this and it is the neutrual I am using in all of my Thursday Therapy blocks. Working with this fabric makes me very happy – so seemed apropos. Say Cheese by Print and Pattern for Robert Kauffman. Love the cameras. Got this at Sarah’s Fabrics after regretting not getting it the last time I was there. Not much worse than fabric regret. I am going to use this for an economy block quilt that seems to be ubiquitous lately. Once I get through my backlog. 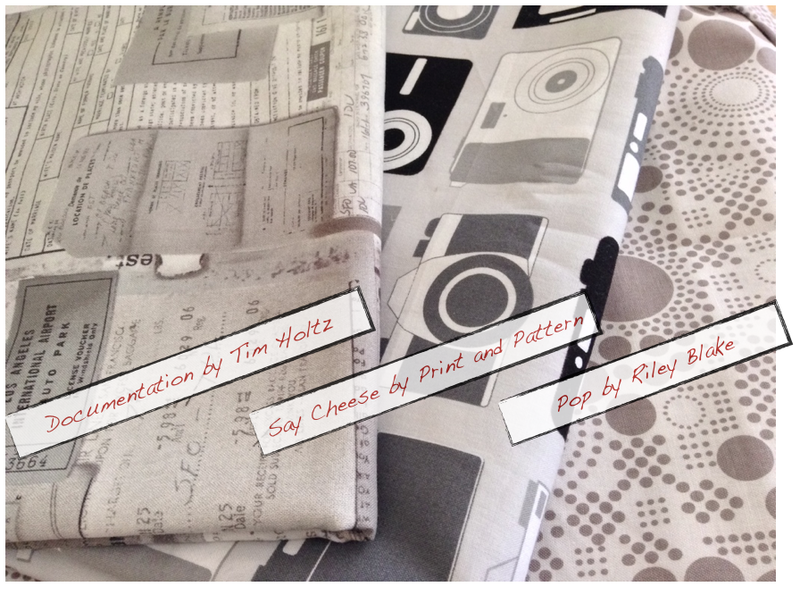 Pop by the house designers at Riley Blake. Stumbled across this while wandering around in the wilderness of the Internets. Not sure what it will be used for, but it is adorable. And seems like a great basic print to have around. Also comes in other great colors. FIGHTING. URGE. TO. CLICK. ADD. TO. CART.